Movable electric fencing defines the grazing area for ther sheep working the grasslands at Putname Park. Aaron Gilliam keeps an eye on his grazing flock--300 strong--at Helen Putnam Regional Park. 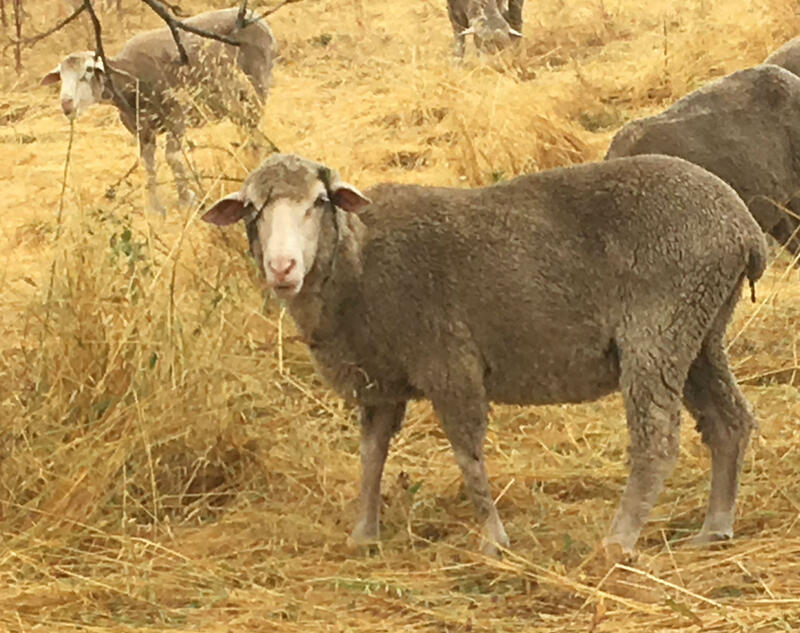 Sheep can chew down grasses that might later burn, snack on unwanted poison oak, and fertilize the soil as they go. And they can co-exist with human users of parklands while doing all that. Sheep are an alternative to using tractors dragging discs to plow grass under and create firebreaks. 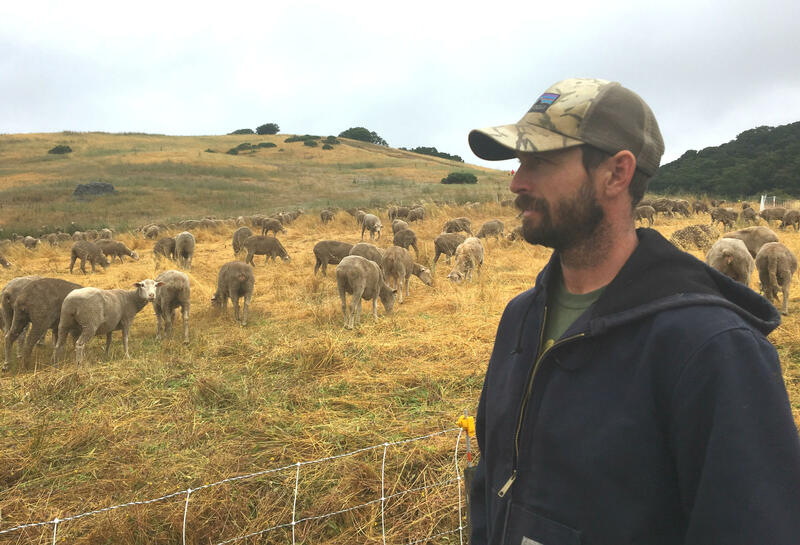 But unlike the machines, says Aaron Gilliam, the sheep will graze around ground-level bird nests, and positively coexist with the native fauna in other ways, too. Now and then, grazing pauses for a moment of gazing at a photographer. 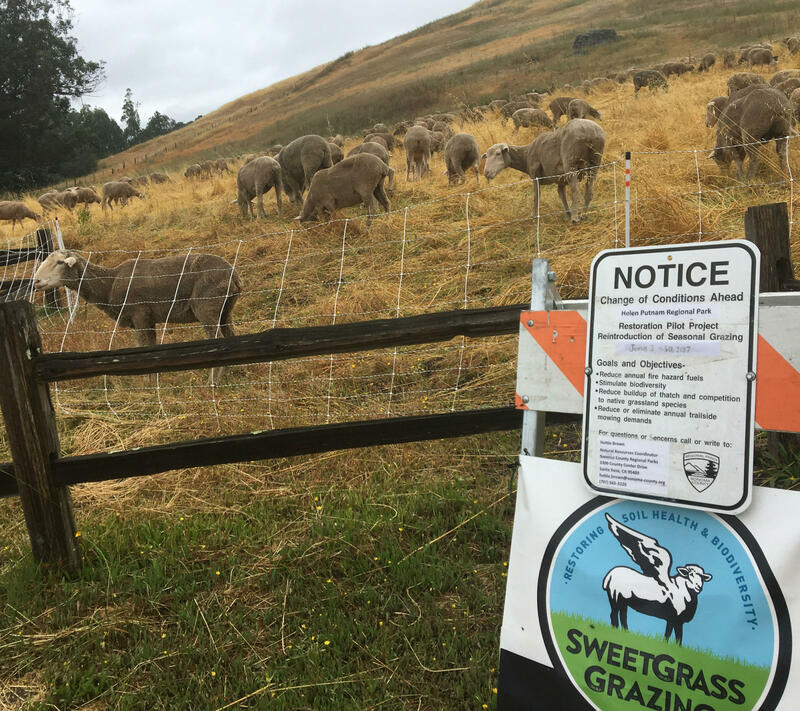 Gilliam’s Sweetgrass Grazing has contracted to cover about 11 acres at Helen Putnam Regional Park this season. He says the pace of the animal’s work varies quite a bit, depending on several factors.